A Profile of Breton Brewing, Now Open in Sydney, N.S. 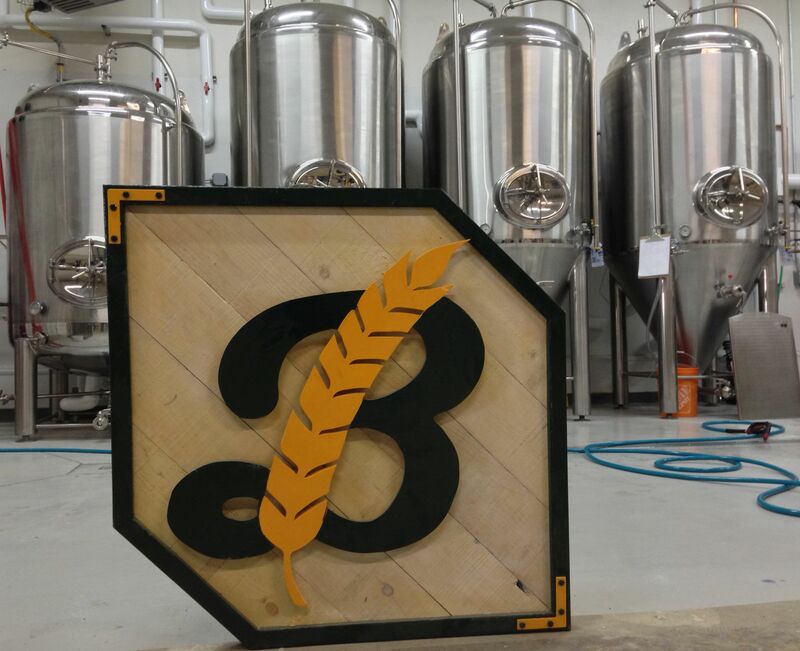 Breton Brewing is now open at 364 Keltic Drive in Sydney, NS. 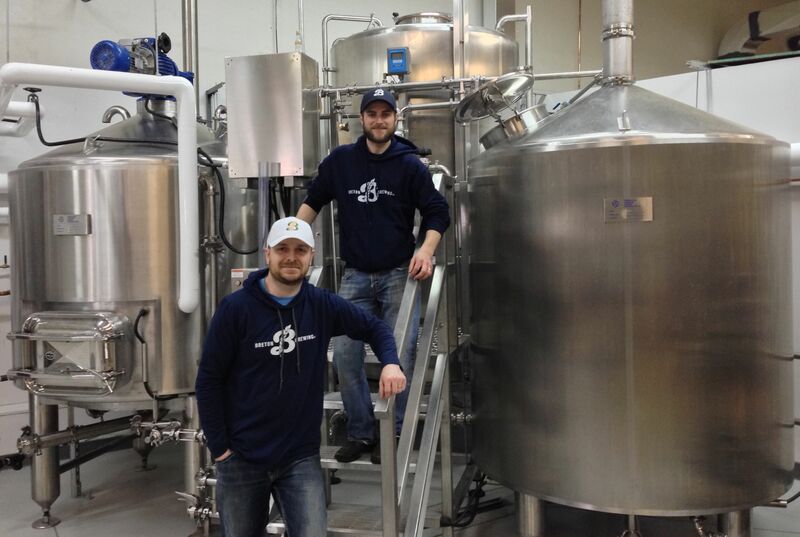 The brewery is the culmination of years of passion, planning, and preparation by homebrewers Bryan MacDonald and Andrew Morrow, both from Cape Breton. Ahead of their launch party this weekend, we wanted to share the story behind Breton Brewing, from their perspective. Both Andrew and Bryan were kind enough to respond to our questions. Bryan MacDonald: I was born and raised in Cape Breton. I graduated with Mechanical Engineering at Dalhousie in 2007, and spent 6 years in the HVAC industry doing mechanical building design. I am married and have a 16 month old son who is currently in training to be a brewer. Andrew Morrow: I was born and raised in Sydney, NS. I graduated in 2006 from CBU with a Science degree and then from UPEI in 2009 with a Bachelor Education degree. I have been working for the Cape Breton Victoria Regional School Board and Community Services of Nova Scotia since 2009. I am married to my wife Jen and have a 13 month old boy Bennett. Andrew: My first experience with craft beer was in PEI at the Gahan House. They opened my eyes to what the world of craft beer was all about. Since then I’ve been using my educational background to help study the art and science of the brewing industry. I am still a huge fan of the PEI Brewing Company and visit whenever I get the chance to get back to PEI. Bryan: I think my first taste of craft beer was at Rogues Roost and Ginger’s Tavern in my university days. I have since done a fair amount of traveling and have gone to as many breweries and brewpubs as possible. I love the variety of craft beer, and am excited to now be able to share my passion for craft beer with Nova Scotia. Do you guys have a favorite beer style, beer, or brewery? Bryan: I love all styles, but probably love IPAs the most. I had a chance to travel to Belgium and enjoyed all of the Abbey style ales. I love the taste of a bottle conditioned beer. My favorite two breweries that I visited were both over seas: Brouwerij ‘t ij in Amsterdam, and Brasserie Cantillon in Brussels. I loved the atmosphere at “The Egg” brewery and the rustic process at Cantillon… just awesome. Andrew: I am a big fan of dark beer. Porters, Browns, Stouts, all peak my interest. There is a depth of complexity to these styles that excites my palate. Having said that, the beer that actually started my love of craft beer was Sir John A’s Honey Wheat Ale from the PEI Brewing Company. Can you share a bit about your homebrewing backgrounds? Andrew: In 2009 I made my first batch of beer through the extract method. I was hooked and I knew I wanted more. I immediately gathered enough equipment to all grain brew my second batch. The authenticity of all grain brewing was so intriguing that it led me to where I am today . Bryan: My wife got me my first homebrew kit for Christmas back in 2008, and I have been hooked ever since. I have read every book I can get my hands on, and brewed countless batches out in the driveway. I also put in about three semesters of listening on the Brewing Network, haha. Bryan: I think my favourite ingredient to use is the Weihenstephaner W3068 Yeast. This is one of my favourite styles of beer (Hefeweizen), and it is amazing the flavours and aromas that come from this yeast. Andrew: I am a big fan of adding adjuncts to beer. I’ve been experimenting for as long as I can remember and have produced some great beers using adjuncts. I’m also a fan of Aromatic Malt and any type of citrusy hops. Andrew: I’ve always wanted to be on the business side of things and think I am well suited for that. Along with my science background, passion for brewing and the craft beer market now, it was the perfect fit. Bryan: I have always had the itch to be entrepreneurial, and I want to do what I love every day, so it is a perfect match. It wasn’t easy taking the leap from my professional job, but my family and friends have been very supportive, and the craft beer scene is still on the rise, so the timing is right. We currently have a 15 BBL steam fired system from Criveller Group, out of Niagara Falls. We love the flexibility that this system offers, and are very pleased with our results so far. We are excited about the products we are producing with this system. Our current plan is to distribute to restaurants, bars, distilleries, and golf courses throughout Nova Scotia, and to sell growlers and pints out of our Brewery. We also just started attending the Ross Ferry Farmers Market with our growlers, and plan to offer our kegs to growler fill stations in Halifax. We eventually plan to do some bottling and canning down the road, but initially are selling 20L and 50L kegs, and 64oz and 32oz growlers. Where can we purchase your beers currently? We also have several seasonal Cape Breton locations that will be serving our beer later this summer. Can you tell us about the beer you are currently pouring? Yes, all of the NS breweries have been helpful, and we have had many questions over the past few months. The craft beer community is awesome, and we are glad to be part of it! Where do you hope to see Breton Brewing in the next 2-3 years? We will continue focusing on producing high quality products, and will likely have several seasonal beers by this point. We hope to be canning and bottling by this point as well. Big thanks to Andrew and Bryan for answering our questions. 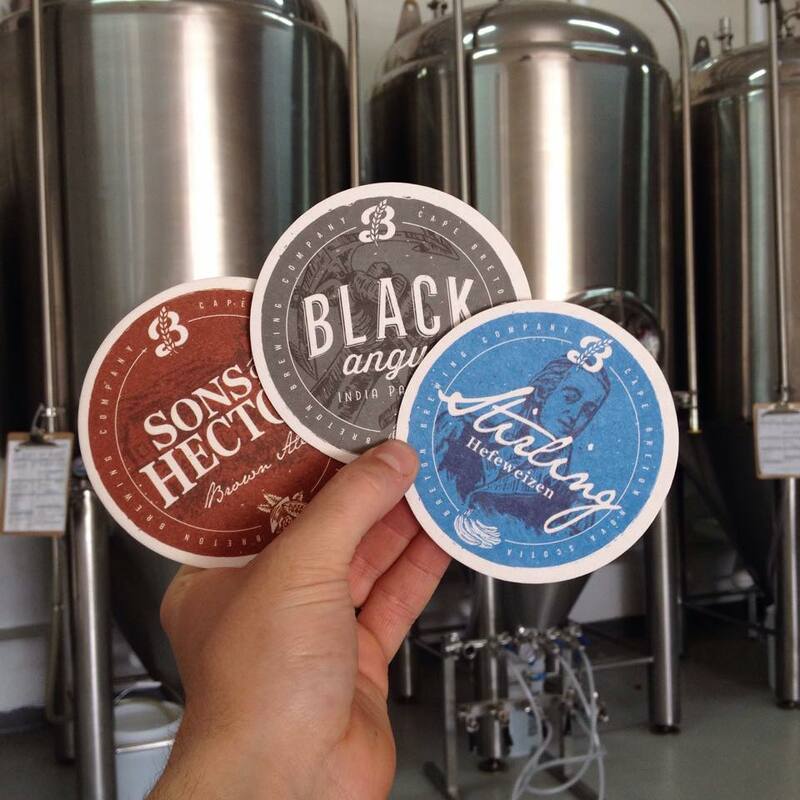 Be sure to drop by the brewery, or one of their licensees to grab a growler or pint of their beers. And there are still tickets available for their Launch Party at Flavor on the Water, featuring local musicians, great food, and of course their beer. ← Friday Wrap-Up – News from Rockbottom, Ladies Beer League, Big Tide, Petit-Sault, Yellowbelly and more!